+ Why coaches and mentors don’t hold all the answers locked within them and why over investing like a crazy person actually sabotages you. + All about consensual sales + manipulation: when NO means NO. Sarah Byrd, Mindfulness & Spirituality Mentor, is steeped in world wisdom traditions. She is trained in and practices Shambhala Buddhism, a Vajrayana lineage. Sarah holds degrees in both Religious Studies and Transpersonal Psychology. 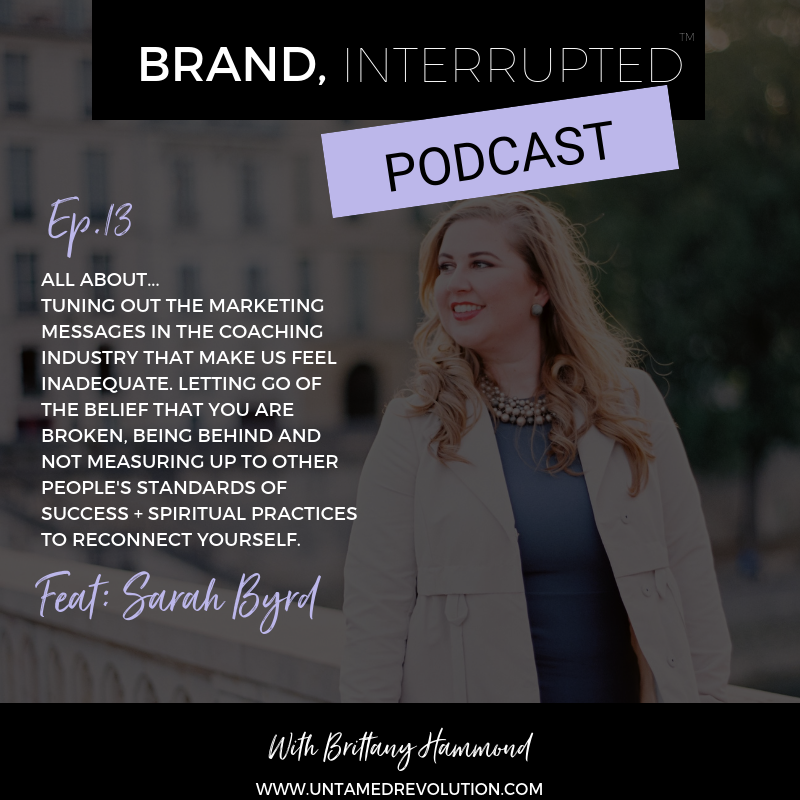 She is the founder of Hello Lovely Life, LLC, the host of the Charming Dharma podcast, and the producer and editor of Basic Goodness Magazine. In her spare time she studies Sanskrit and runs a photography business in Boulder, Colorado. You can also tune into Sarah’s CHARMING DHARMA PODCAST where I talk all about AUTHENTICITY.